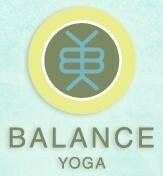 Start taking classes at Balance Yoga and other studios! This class will cover the sun salutations, standing postures and the seated postures up through navasana. This class will not be easier or harder than the 2nd half primary class. The two classes combined will give students the full primary series. Balance Yoga is an Ashtanga and Vinyasa yoga studio devoted to the tradition, exploration and dissemination of the language of yoga. There are no upcoming “All Levels Led 1st Half Primary Series” classes on this day. IMPORTANT: Beginning on Wednesday, September 14th, classes will be held at the new location, 1213 Dalon Rd. Atlanta, GA 30306. Please go to this location instead of the studio on East Paces Ferry Road. Marsha is very friendly and can teach to all levels in the same class. Marsha is amazing! I loved the class and will be back again soon. Ok class. The major problem was really the sequence, which (i assume) is standard and not the teacher's fault (if I'm right this should apply to all of these series classes then). We spent a ridiculously long time on exceedingly similar and repetitive hamstring-stretching poses, with awkward vinyasa transitions between. This was about a quarter of the class. As a result I left still tight in my quads and hips, among other places. Transitions between poses were not very well cued all the time, and as mentioned some were simply awkward (seated to vinyasa to seated again and again). Could definitely use programming improvement more than anything.